I wore this outfit to the Poshmark party I co-hosted last week with some of my favorite local bloggers at Lost Society here in D.C. We had such a blast meeting closet shoppers from around the area and sharing our listings with everyone checking out the party in the app! I still can't get over what an amazing concept it is! I also snapped a few photos with my iPhone and wanted to share! For more photos, check out Poshmark's entire album on Facebook! And don't forget...you can shop my closet in the app or online anytime here! I'm kind of addicted to it now so I'm constantly adding new pieces! This looks so fun - and I love your outfit...those pants are some of my favorites on you! what a fun event!! This shirt is such a fun find... wildfox has the best tees/expressions! Love your shoes lady! Are they comfortable? I don't tend to wear heels but these are so gorgeous. I love those heels! I'm so sad I missed that but looks like it was a blast! Great NR find! 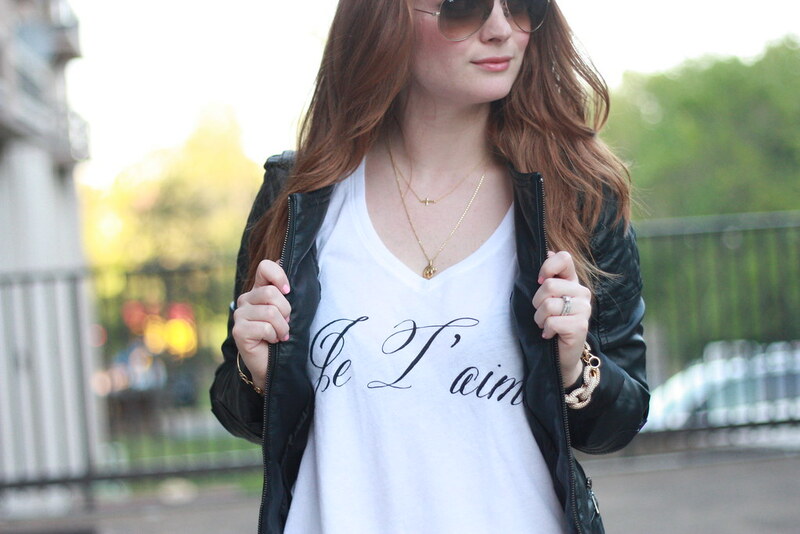 Looks like you had a blast, love the simple yet chic tee! Lovee the shoes! I've been eyeing the mint-hued version myself for weeks, might be time to go for it! Had so so SO much fun, babe! You looked so stunning and seriously obsessed with the whole look! Cute look! Loving your tee and pumps!! Cute photos! Looks like such a fun event! SO sad I missed it :( But your outfit is fantastic as usual!!! Love the shirt!